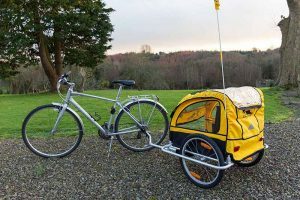 Bike hire Waterford Greenway and surrounding area. Bikes are available for adults and children. 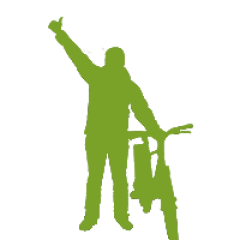 Based at Durrow (Shanacool), The Greenway Man is located on the most spectacular part of The Waterford Greenway with tons of history from more turbulent times. 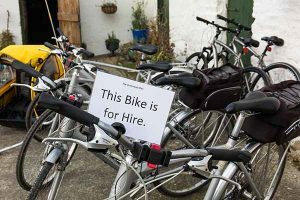 He has a second base at Dungarvan Bike Hire at Davitts Quay in Dungarvan. Local highlights include a quarter of a mile long tunnel, two massive viaducts, one having been blown up in the Civil War and the disused Durrow Railway Station house. We are based in the yard behind Mahony’s Pub where you can stop for a pint or a cup of coffee on your return. 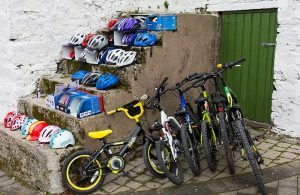 We have a variety of bikes for children and bike trailers are available for children under five years of age. 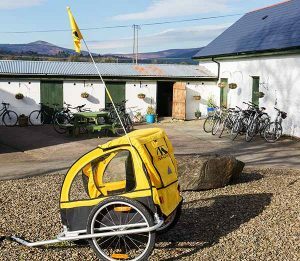 Bike hire is available for any location along the Waterford Greenway. Please call me on 086 8351233 or contact me by e-mail at thegreenwayman@gmail.com to discuss your requirements.